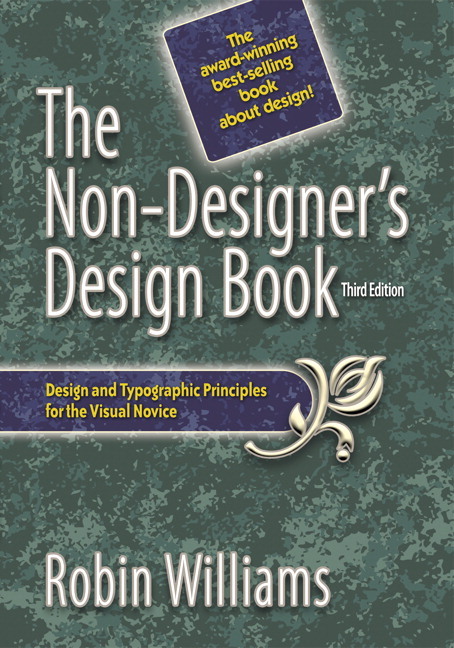 This revised and expanded classic includes a new chapter on designing with type, more quizzes and exercises, updated projects, and new visual and typographic examples that give the book a fresh, modern look. 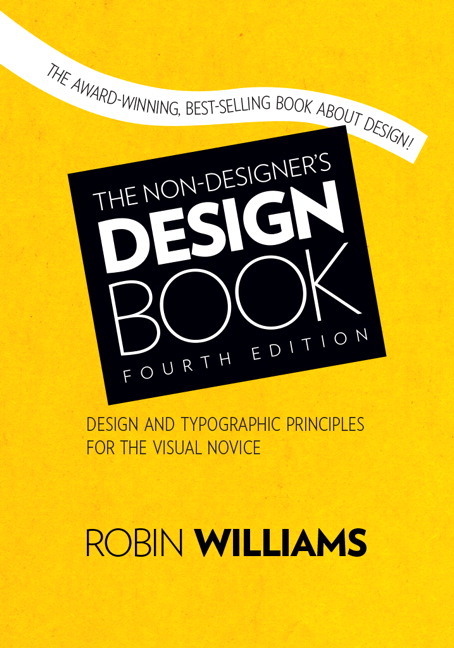 In The Non-Designer's Design Book, 4th Edition, Robin Williams turns her attention to the basic principles that govern good design. Perfect for beginners, Robin boils great design into four easy-to-master principles: contrast, repetition, alignment, and proximity (C.R.A.P.!). Students who follow her clearly explained concepts will produce more sophisticated and professional work immediately. Humor-infused, jargon-free prose interspersed with design exercises, quizzes, and illustrations make learning a snap—which is just what students have come to expect from this trusted design instructor and bestselling author. Robin Williams is the author of dozens of bestselling and award-winning books, including The Non-Designer's Presentation Book, The Non-Designer's InDesign Book, and The Mac is not a typewriter. Through her writing, teaching, and seminars, Robin has educated and influenced an entire generation of computer users in the areas of design, typography, desktop publishing, the Mac, and the Web.